In the past, automobiles and parts were frequently made with asbestos-containing materials. Before it was known how dangerous it was, asbestos was used for durability, insulation, heat resistance, and fireproofing- all things that are very important when working with intricate and vital automotive components. Many car parts have to endure high friction or intense heat situations on a regular basis, relying on asbestos for protection so the parts do not catch on fire, burn up, or fail catastrophically. There are many different ways that employees in the automotive industry have been exposed to asbestos. Anyone who made car parts in a warehouse or assembly line, worked on cars in an automotive shop on a regular basis, repaired cars and car parts daily, or worked in an area where vehicle maintenance is done is at risk for exposure to asbestos fibers. Auto mechanics and technicians are exposed to asbestos when working with or on car parts that contain the fibers. When parts are sanded, banged, damaged, cut, or otherwise disturbed, the dust and particles that get kicked up into the air can contain asbestos and thus infect anyone in the area. If large amounts of asbestos are disturbed, asbestos fibers could end up coating the repair shop floors or be carried throughout the air, exposing anyone who is in the shop or in the general facility. When cleaning, vacuum cleaners and fans can also easily disturb the fibers and increase the risk of others being exposed so care needs to be given anytime it is possible that someone is working on parts that might contain asbestos. Assembly plant workers are exposed as they make, inspect and package these parts to be shipped out. Mechanics and repair workers are exposed when they work on car parts like these and disturb the asbestos fibers contained in them. Sales and shipping workers can also be exposed when handling packages and parts if any are damaged or mishandled during transportation. Using a shop vacuum cleaner that does not have an adequate filter that can collect asbestos fibers and keep them from being kicked out. Using compressed air that is delivered through a hose to clean drum brakes and other car parts and thus blasting asbestos fibers into the air. Wiping parts off in a manner that spreads particles around such as using a dry rag or simply brushing dust off the parts with their hands. Using squirt bottles or solvent sprays to blast away dust and particles or choosing to use a water hose to remove dust and debris. Negative-Pressure Enclosure/HEPA Vacuum System Method-Utilizing, a specially designed vacuum and containment system that helps minimize the spread of asbestos fibers and that helps to safely filter, trap, and dispose of asbestos fibers. Low Pressure/Wet Cleaning Method,using low pressure cleaning to avoid blasting fibers of asbestos into the air and ensuring all dusting and cleaning is done with a wet cloth to trap fibers so the asbestos is more contained and less prone to spread throughout the shop. Wet Cloth Wipe Down Method, utilizing a wet cloth to wipe down all parts and clean up dust and fibers that have settled during repair work to reduce the chance of them getting kicked up into the air and to ensure they are cleaned up and dispose of in a safer manner. 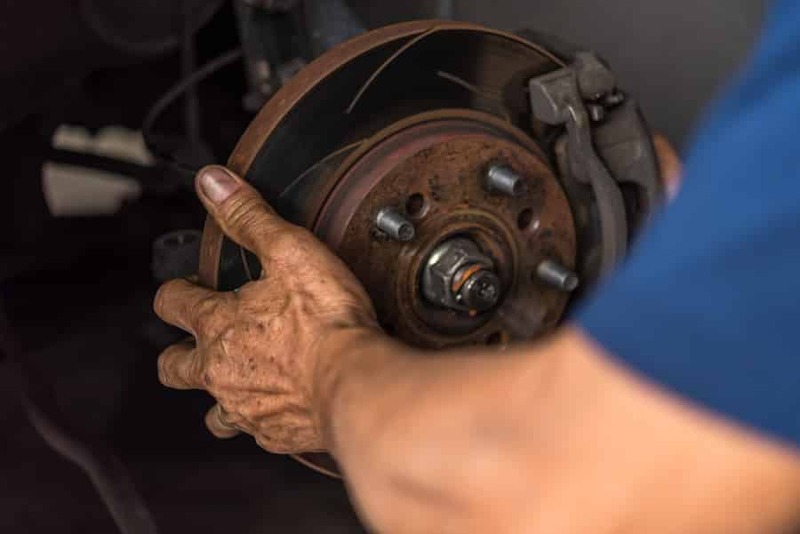 For those who repair or replace their own brakes or who do other major car work and repairs at home and who cannot know for sure if there is asbestos in those parts, the EPA recommends having the job done at a commercial shop to avoid exposure. If this is not an option, the agency then recommends following the protocols for commercial repair shops if possible. At the very least the wet cloth method should be used on any and all brake/vehicle repairs and maintenance that is done at home. The big concern about asbestos exposure is of course the development of mesothelioma. While it is obvious that mechanics and warehouse workers could be at risk, it may also be necessary for the family members of those who work in the auto repair and maintenance and construction industries to be tested for mesothelioma. 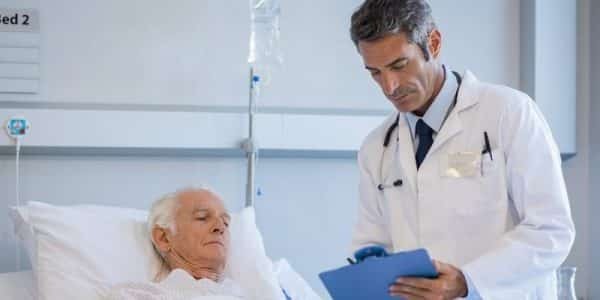 They too need to be watchful and report any symptoms or concerns to their healthcare provider since second-hand spread of asbestos is very common, especially in these types of situations! After working in the repair shop or warehouse all day, workers can bring home fibers and dust that contains asbestos in their hair and their clothes. Partners can be exposed when they clean clothes and others could be exposed when they clean up or are in the car with their spouse after a day at work. Children can be exposed to asbestos fibers as well when they hug their parents when they first get home from work. Family members who visit the repairs shop to drop off lunch or see their loved ones on their lunch break can also become exposed to second hand asbestos fibers. It is also quite likely that asbestos also got into the home and it can easily become embedded in the fibers of carpets and furniture, on the floors, in clothes and even into the air ducts and vents throughout the home. These are just some of the ways that asbestos fibers can find their way into the home and when second-hand exposure occurs it often times will result in mesothelioma diagnosis for other members of the family. Genetic factors – genetics may also play a role though it is not fully understood yet. 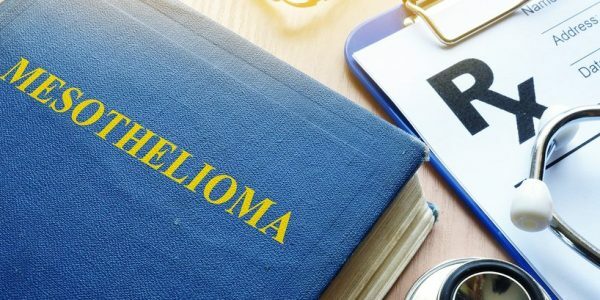 For many individuals with mesothelioma their only course of action is to seek legal restitution for their illness, suffering, and loss of quality in life. Many civil suites and lawsuits have been fought and won in favor of those with this disease. Because it is now known how dangerous asbestos is, mechanics and auto industry workers have more protection than they did twenty years ago. However, second-hand exposure cases are not so easily won in many cases and are still being contested as legal teams continue to push for fair compensation for these cases. Family members who have mesothelioma because a loved one was exposed often find it harder to win cases but progress is being made to help all who are suffering due to exposure to asbestos materials. 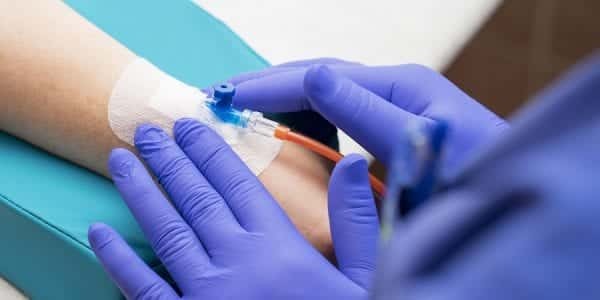 To see if you have a case and to see what legal recourse is available to you, fill out the form below and a qualified mesothelioma lawyer will follow up as soon as possible to discuss your situation. Whether you worked in the auto industry or have a loved one who is in the industry, if someone in your family was diagnosed with mesothelioma or other lung-related heath issues, contact us today. We are here to help you in your time of need so call us and we will work with you on your mesothelioma and asbestos exposure case.